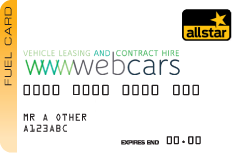 The Webcars Fuel Card offers much more than a convenient way to purchase and manage fleet fuel. It also gives your business increased control over the way your drivers buy and use fuel. The use of fuel cards not only streamlines, but also reduces the cost of fleet management. Allocate card to vehicle or driver.